Entering a university alongside more than 8,000 classmates can be overwhelming. 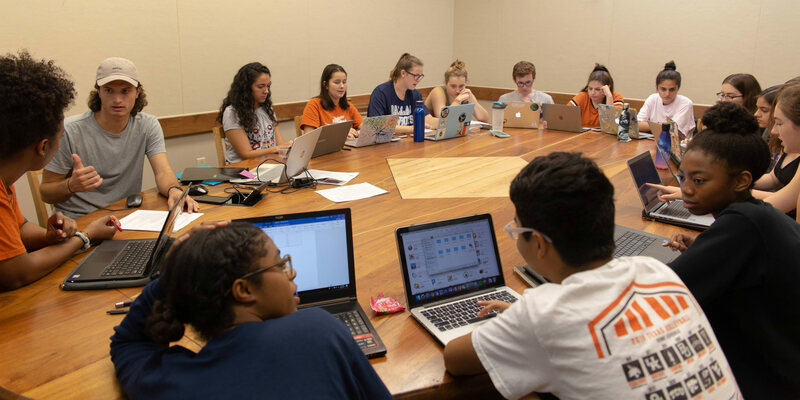 By participating in a 360 Connection—your first year community—you can start your experience on the Forty Acres with plenty of support. For decades, we’ve been developing ways for new students to quickly adjust to college life. Based on the First-year Interest Groups model, students in all of the 360 Connections will explore academic integrity, leadership, connecting to faculty, university spirit and traditions, and more. Learn about 360 Connections Shared Experiences that occur each fall. All incoming first time in college students admitted each fall will have the opportunity to participate in a 360 Connection during their first semester. During New Student Orientation each summer, students will learn what connections are available to them through conversation with their program or college advisor. Some examples of 360 Connections are honors societies, FIGs, success programs, or LEAP. Click here to view a complete list of programs offering connections.